How do you like your eggs? Fried, scrambled or chocolate? This weekend, it's very possible that you'll be rolling hard-boiled ones down a hill, stuffing your face with chocolate ones or brunching on poached ones covered in Hollandaise sauce. The humble egg is a brilliant addition to any meal and we've rounded up our favourites for you to try. Breakfast seems like the obvious meal for eggs, and when you're talking about a perfectly poached egg on toast or a baked egg roll you can see why they're an egg-cellent start to the day! Puns aside, a souffle omelette would be a cracking breakfast, too. Breakfast cups are rather lovely, too. 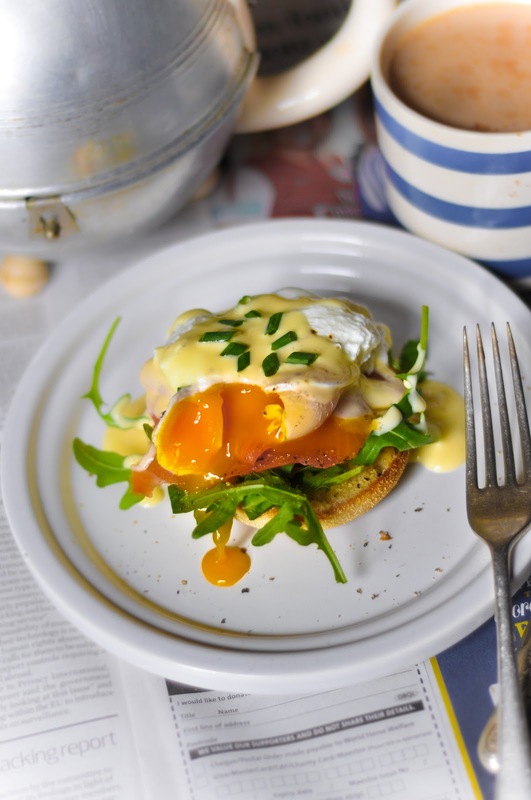 If you want a decadent breakfast in bed, you need to have smoked salmon Benedict (preferably whilst wearing silk pyjamas). Let's not forget about the wonderful brunch potential of huevos rancheros and gypsy eggs. 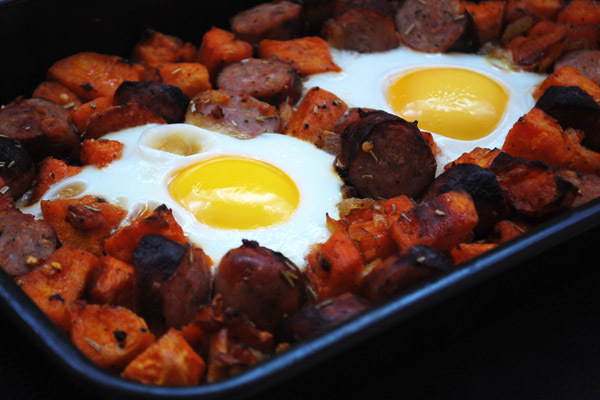 Sweet potato hash is a carby, eggy delight, while kedgeree works just as well as supper as it does brunch. One kedgeree that definitely works for supper is our Thai inspired version. 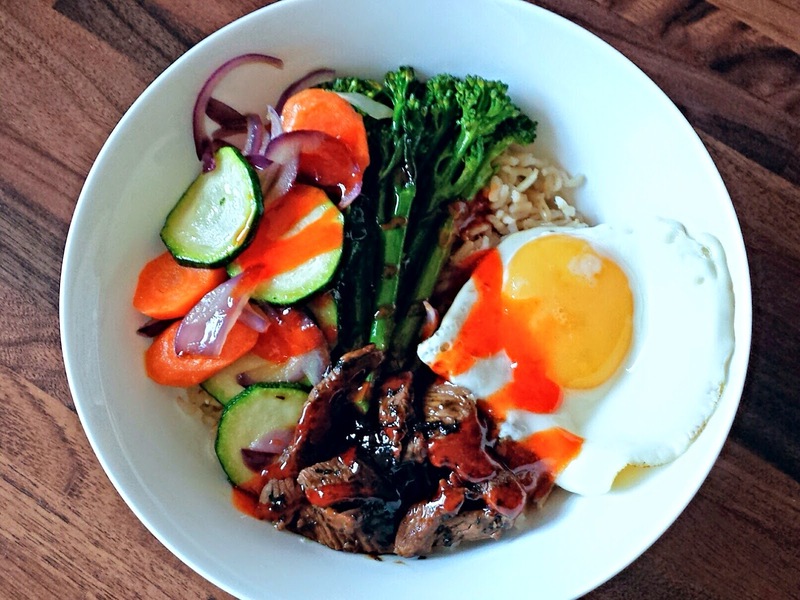 Bibimbap is another eggs and rice dish that's a winner for supper. For a low-carb "rice" dish, egg fried cauliflower rice is gorgeously soothing after a tough day. 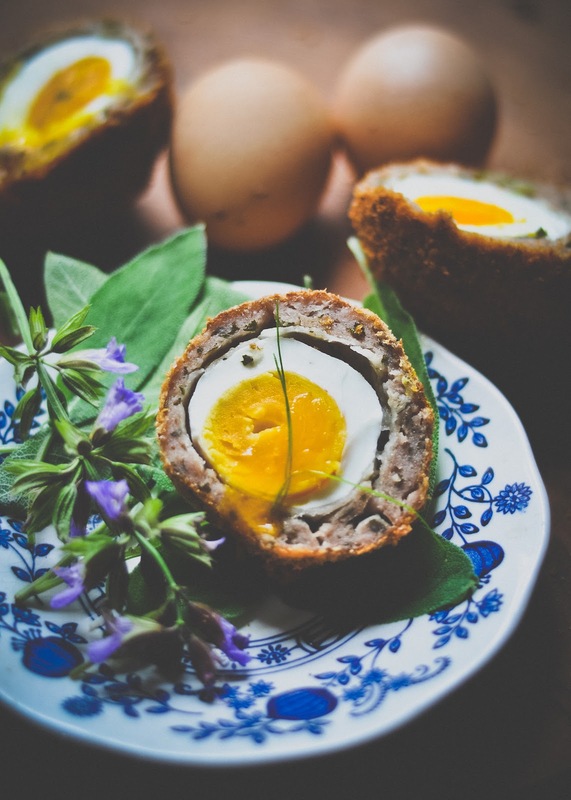 No picnic is complete without a scotch egg and Toulouse scotch eggs are pretty hard to beat. Quiche is most certainly required for all picnickers, and caramelized onion quiche is a good choice. Add bacon and you'll make that picnic perfect. Can you imagine what a chicken that lays chocolate eggs would look like? Delicious, most probably. Ok, so chocolate eggs haven't actually been laid by any sort of poultry, but they're too wonderful to leave out. Our Creme Egg surprise is a super-sweet treat for Easter, make these to make yourself very popular indeed! Any surplus eggs (is there such a thing?) can be turned into these mini egg cookies. For those people who don't fancy chocolate this Easter, there's always cakes in eggshells or a white chocolate and mango dippy egg. Still peckish? 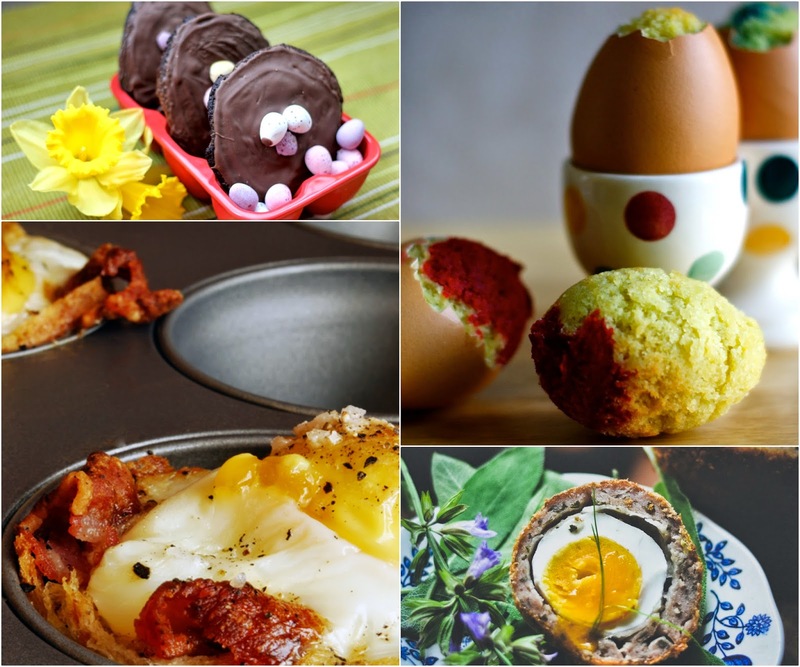 Check out more of our top ten recipe posts! I went from here, to cauliflower rice, to cauliflower steak (with cauli puree and cauli-leaf crisps).